Seashore was born in Mörlunda, Hultsfred Municipality, Kalmar County, Sweden to Carl Gustav and Emily Sjöstrand. He emigrated with his family to the United States in 1870 and settled in Iowa. The name “Seashore” is a translation of the Swedish surname Sjöstrand. He graduated from Gustavus Adolphus College in St. Peter, Minnesota during 1891, having studied mathematics, music, classical languages and literature. During his years in college he served as the organist and choir director of a local Swedish-American Lutheran church and his salary there paid most of his college expenses. Seashore became a member of the Iowa Beta chapter of Sigma Alpha Epsilon. Seashore was particularly interested in audiology, the psychology of music, the psychology of speech and stuttering, the psychology of the graphic arts and measuring motivation and scholastic aptitude. Seashore used standardized tests to measure how performance deviated from indicated markings and how musical aptitude differed between students. He devised the Seashore Tests of Musical Ability in 1919, a version of which is still used in schools in the United States. The test involved controlled procedures for measuring respondent's ability to discriminate pitch, loudness, tempo, timbre, and rhythm. ↑ Walter R. Miles. "Carl Emil Seashore" (PDF). National Academy of Sciences. Retrieved December 15, 2015. ↑ Judith Felson Duchan (May 12, 2011). "Carl Emil Seashore 1866-1949". A History of Speech - Language Pathology. Retrieved December 15, 2015. ↑ Stoddard, George D. "Carl Emil Seashore: 1866-1949", The American Journal of Psychology, Vol. 63, No. 3 (Jul., 1950), pp. 456-462, University of Illinois Press. ↑ Laird Addis. "Carl Emil Seashore 1866-1949". The Biographical Dictionary of Iowa. Retrieved December 15, 2015. ↑ "Carl Emil Seashore - 1945". Kappa Delta Pi, International Honor Society in Education. 2015. Retrieved December 15, 2015. 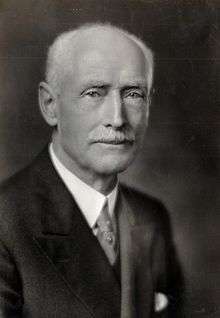 ↑ Edwin E. Gordon. "The Legacy of Carl E. Seashore" (PDF). University of South Carolina. Retrieved December 15, 2015. ↑ S. J. Linton. "Carl Emil Seashore, a Pioneer on Two Frontiers". Swedish-American Historical Quarterly v.31, no.2, p. 122-128. Retrieved December 15, 2015. ↑ "Norman C. Meier Papers". The University of Iowa Libraries, Special Collections & University Archives. Retrieved December 15, 2015. The Personal Papers of Carl Emil Seashore are available for research use at the Gustavus Adolphus College and Lutheran Church Archives.